Funeral services will be held at 8:00 PM on Thursday at the Lane Funeral Home- Austintown Chapel for Betty G. (Ours) Cox, age 75 who died early Tuesday morning at home. Betty was born August 1, 1935 in Mercer, Pennsylvania the daughter of Issac B. and Bessie (Lee) Ours. A homemaker, Betty loved to play bingo and was an avid bowler in the Scholastic League at Wedgewood Lanes. She is survived by her husband Dennick W. Cox, Sr. whom she married September 8, 1956 and two children: Doug (Sheryl) Cox of Canfield and Debbie (Bob Syphrit) Joki of New Wilmington, PA. Mrs. Cox also leaves her daughter-in-law Melissa Lipinski. Betty leaves twelve grandchildren: Justin, Corey, Robert, Joshua (Michelle), Mandy, Tammy (Ryan), Jeremy (Tiffany), Sherry, Matthew Kevin, Eric and Anthony (Jessica). Ten great-grandchildren also survive: Bobby, Megan, Noah, Samantha, Breanna, Josh Jr, Alexander, Mario, Elijah, and Braeden. 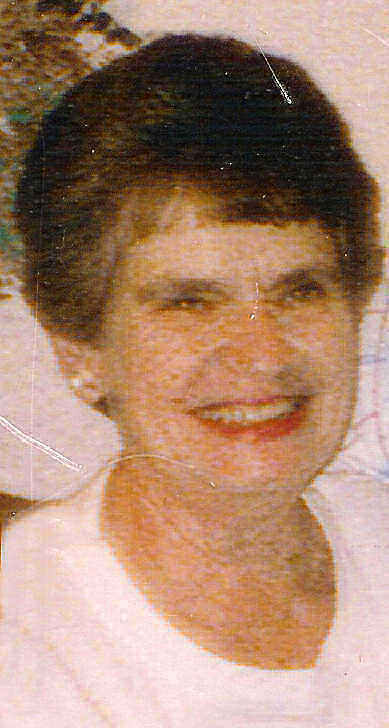 She also leaves a brother-in-law Russell G. Cox, and a sister-in-law Judy Ours. Betty was preceded in death by brothers Ronald and Clem Ours, a sister Cornelia (Ours) Fair and two sons: Dennick, Jr. and David Cox. Memorial contributions may be sent to Hospice of the Valley at 5190 Market Street, Youngstown, Ohio 44512. Friends may call at the funeral home on Thursday from 6:00 to 8:00 PM, two hours prior to the services.